The Daily Fry | Picky Eating at its Best! Maloney’s is a westside classic. Your typical neighbourhood bar. We went here pretty late and to our surprise they were still serving food so I got some fries. They came out really quick and were supper hot. They are your classic krinkle cut french fries. They were a little under done but besides that they were fairly good. I give them a 7 out of 10. You may be thinking to yourself hey thats not a picture of french fries. 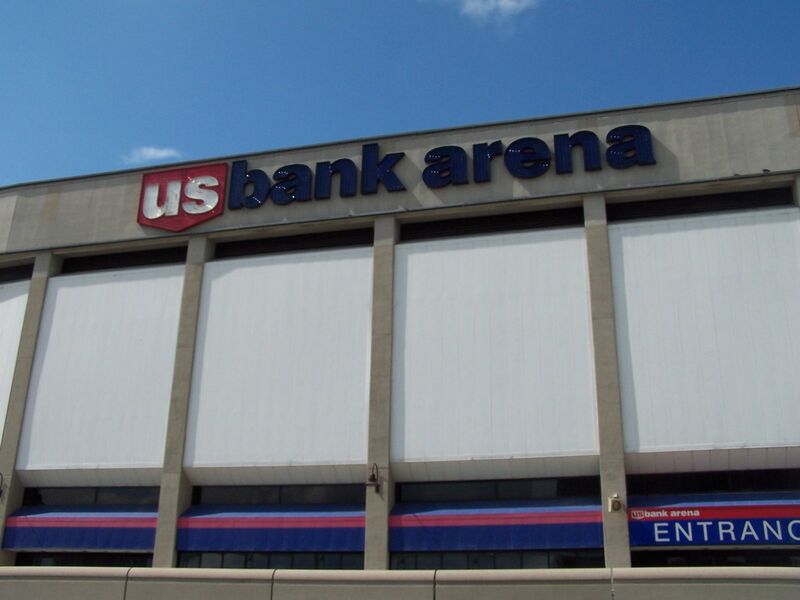 So last night I went to go see a hockey game at US Bank Arena. To my admazement I couldn’t find any fries being sold in the place, thats right NO FRIES. Whats up with that? They sell hamburgers why no fries? Thats like selling a hamburger with no bun. Hamburger and fries are ment to go together. This place is starving to stay a float. I mean they sell 1 dollar beers. Who does that I can’t buy a dollar beer at any small local bars. So anyway I circled around the whole arena and had no luck. Most of the food places were closed anyway. If you go here and order a hamburger do me a favor and complain that they dont serve french fries. I have seen lots of different deep fryers over the years. This one tops the list with the self lifting basket. It makes perfect french fries every time. Why doesn’t every fast food place have this. You may think yeah whoop t do it lifts the basket. Well it is the end of over done or under done fries. Ever go through the drive through past midnight? It always seems the fries are either over or under done. It all because of human error. 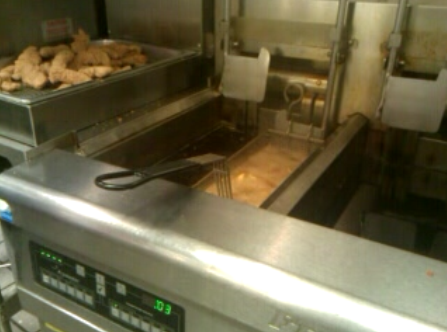 They leave the fries in the hot oil even though its beeping away for them to take it out of the grease. This causes bad french fries. Yeah I know they have two workers and can’t make it to the deep fryer on time, so why not have one of these bad boys. Your customers would be a lot more satisfied. Just a thought. Steak and shake is one of those places you only seem to visit when you have had a couple drinks and you get hungry. This has to be one of the worst places to work. Always dealing with drunkereds. Their fries are a shoe string style. Not very good but you usually don’t seem to care about them being not the best because you are usually buzzing. I think I have only ate here once before 1am other than that its a late night place. When I went here the fries were ok. I would have to say out of all the shoe string style places they do have the best. Takes notes skyline and even brio. Good and crispy. Steak and shake get a 6.5 out of 10. Whats your favortie french fry?